The World Cup begins later this week, and millions of soccer fans from nations from all over the world will watch the action on the fields in Brazil. A number of important players will either miss the World Cup completely or could miss some significant early games. How teams adjust to these injuries could have a large effect on which countries advance out of the group stage or even win the World Cup. Here are some of the key injuries heading into the tournament and brief descriptions of their treatments and rehabilitation. The countries’ FIFA rankings listed are accurate as of June 5. Reus injured his left ankle in Germany’s friendly against Armenia. Despite winning the match 6-1, they lost the Dortmund winger for the tournament. Reus was taken to Meinz University Hospital, where he reportedly was found to have suffered a tear of his anterior tibiofibular ligament. He will not accompany the team to Brazil. The anterior tibiofibular ligament is one of the ligaments between the tibia and fibula just above the ankle. It is one of the ligaments that makes up the syndesmosis of the ankle. These syndesmosis injuries, also known as high ankle sprains, can require much longer periods of time to heal than traditional lateral ankle sprains. 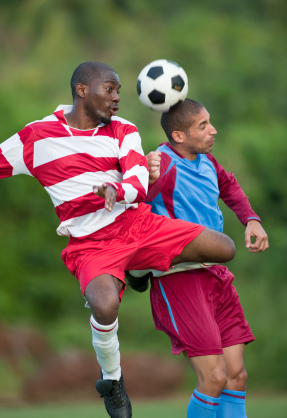 While most syndesmosis injuries do not require surgery, athletes often require a boot or brace for 4 to 6 weeks before the athlete can easily plant and change directions. Montes suffered a horrific injury only seconds after scoring a beautiful goal in his team’s friendly against Ecuador. He collided with Ecuador’s Segundo Castillo and went down. He was taken off the field by stretcher and taken to a local hospital in Dallas. He was found to have a tibia and fibula fracture and underwent surgery. The surgeon reportedly told the team that he successfully stabilized the fracture, but Montes would need up to six months before he would be ready to return to soccer. The Italian Montolivo also suffered a left tibia fracture after being fouled by Alex Pearce during a friendly against Ireland. The Italian midfielder underwent surgery by Dr. Herber Schoenhuber, who used a nail to treat the fracture. Schoenhuber estimated that the midfielder will need at least six months to heal. 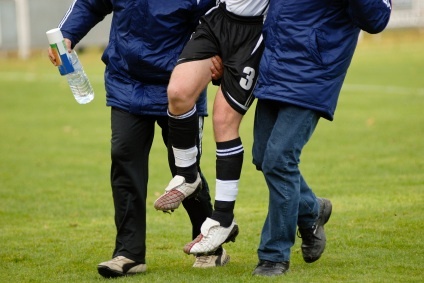 Tibia fractures require tremendous force, so they can be devastating injuries in sports. In adults, these fractures almost always require surgery. 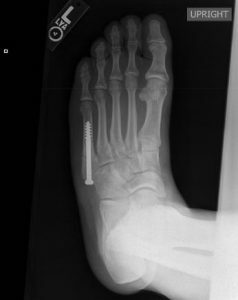 For fractures in the midshaft of the bone, surgeons usually place a rod down the center of the bone, locked at both ends with screws to control rotation. Patients can usually bear weight, but it can take 3 to 4 months for the tibia to heal. Falcao had been racing to return from an ACL injury that he suffered in a match while playing for Monaco in January. He aimed to return months ahead of schedule while his entire country hoped he could play in the team’s opening match June 14 against Greece. Calling it the “saddest day” since he became manager of Colombia’s national team, Jose Pekerman left him off of the World Cup roster, reportedly saying it was simply not enough time. For soccer players (and most active individuals), tears of the anterior cruciate ligament (ACL) usually require surgical reconstruction. Usually return to play can take at least six months, but 12 months or more may be needed for an athlete to return to the same level of sports as before the injury. Ribery, the recent UEFA player of the year with Bayern Munich, will not travel to Brazil with the French national team after he aggravated a back injury during practices for the tournament. Manager Didier Deschamps explained that an increase in training during Friday’s training exacerbated Ribery’s back pain. The winger underwent an MRI, according to an interview Ribery did with the French Football Federation. Without Ribery or the French Football Federation revealing more specifics of the cause of his low back pain, it is hard to speculate. Possible causes of low back pain in a soccer player could include a lumbar muscle strain, a bulging or herniated lumbar disc, and more. Fifth metatarsal fractures are not always serious injuries in older or less active patients. In young adults, though, the fracture often occurs in a location near the base of the bone that often has difficulty healing since this is an area of poor blood supply. If a soccer player suffers a fracture in this location, where it is often called a Jones fracture, the surgeon usually treats it surgically by placing a screw down the center of the bone. Return to play depends on the time required for the bone to heal but usually takes 6 to 12 weeks. Atletico Madrid’s star striker Diego Costa suffered a hamstring injury in a match against Barcelona that would ultimately decide La Liga. He traveled to Serbia to undergo horse placenta treatments, trying to recover in time for his team’s Champions League final against Real Madrid. Unfortunately he only lasted nine minutes before coming out of the game. Based on that performance, many fans worried Costa would be left off the Spanish roster. It appears Costa’s hamstring has healed sufficiently for him to play a key role in the national team’s bid to repeat as World Cup champions. On Saturday, he played 74 minutes in a friendly against El Salvador and appeared to possess his usual speed. Suarez, who led the Premier League in scoring while playing for Liverpool, is racing to return to Uruguay after undergoing surgery to treat a lateral meniscus tear. He underwent arthroscopic partial meniscectomy on May 22. Due to the very short postoperative period before Uruguay’s World Cup opener this weekend against Costa Rica, he hopes to play in the team’s next match against England. While Suarez felt knee pain while training with the national team, the AUF noted that the striker had initially suffered the injury as a result of a direct blow in Liverpool’s final match against Newcastle. Suarez says his training is going well but is hesitant to commit to being ready for the opening match. “What you don’t know is how the knee will react. Today, I could say to you: ‘Yeah, I’ll make it to the first game.’ Or: ‘No, I prefer to wait for the second or the third.’ But you only know for sure as you progress and you see how the knee reacts,” Suarez said to the Guardian. Lukaku injured his ankle in Belgium’s friendly against Tunisia Saturday. Belgian coach Marc Wilmots told reporters that it appeared to be “a severe sprain.” Lukaku will sit out four days of training to treat his ankle, but it remains to be seen if he will be healthy for Belgium’s opening match against Algeria. Depending on the severity of a lateral ankle sprain, an athlete can return in a few days or miss up to 4 to 6 weeks. Ice, aggressive physical therapy exercises to regain balance and proprioception, and often taping or bracing are used to help the athlete return to play. Since Belgium’s other main scoring option, Christian Bentake, will miss the World Cup due to an Achilles injury he suffered two months ago, fans will be watching Lukaku’s recovery closely. The Arsenal winger suffered a medial ligament injury in his knee in an exhibition match against Ecuador. While he didn’t play in England’s most recent friendly against Honduras, he did attend the game without wearing a knee brace. England manager Roy Hodgson told reporters, “Oxlade-Chamberlain is making good progress. I think he’ll make the tournament without a shadow of a doubt.” He expects the midfielder to miss England’s first two matches against Italy and Uruguay but hopes he returns to play June 24 against Costa Rica. Isolated medial collateral ligament (MCL) injuries almost always heal without surgery. The injury can heal quickly if it is only a mild sprain, but it can require 4 to 6 weeks for a more serious tear. The athlete often wears a knee brace to eliminate valgus stress on the knee and protect the healing ligament. Despite a prominent Ghana witch doctor claiming that he is responsible for the injury, Ronaldo hopes to be ready for Portugal’s opening matches in what many are calling the Group of Death. Arguably the best player in the world, Ronaldo has been battling a left hamstring injury as well as patellar tendinosis in his left knee. Patellar tendinosis can be a chronic cause of nagging pain in an athlete’s knee. It is characterized by an area of weakened tissue within the tendon below the patella (kneecap). An athlete often has pain and difficulty sprinting and jumping. Ice and physical therapy exercises are usually the initial treatments. While Cristiano Ronaldo appears to be progressing well, some athletes struggle with patellar tendinosis. Rafael Nadal reportedly has battled this problem throughout much of his career. Are there other soccer players you would like me to discuss as the World Cup progresses? I can write an updated post in the next few weeks, and I’ll share updates on the upcoming episodes of The Dr. David Geier Show. Touch base with me in the comments below, or reach out to me on Twitter.